This was released for travel retail and fully matured in French oak casks. Peat, lightly salted and farm-like notes in the smell. Like standing on a field just next to the coast. Some citrus, vanilla and just a hint of almonds as well. The alcohol is quite aggressive at first in the taste. Then the peat mixes with sweet vanilla, candied apples and some white fruits. The finish is long and your mouth is filled with peat, oak and some spices. 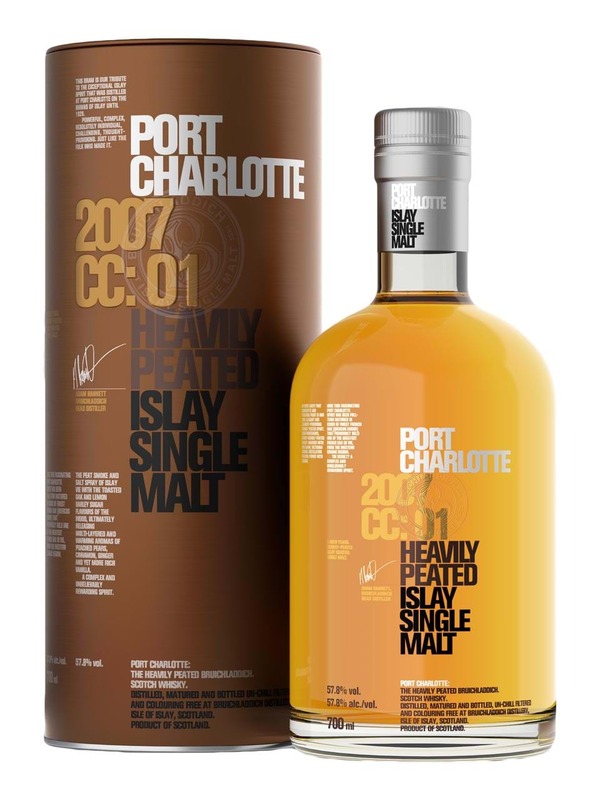 Another good Port Charlotte. Maybe a bit young for some, but the high ABV really allows the flavours (and the peat) to unfold. The finish in particular is long and warm with a great mouthfeel. I will give this 87/100 (21/21/23/22).